Capitol Plaza Hotel is a delightful and convenient location for motorcoach tours no matter the season. Travelers will grow fond of Montpelier and the surrounding area because it has so much to offer including popular attractions such as Ben & Jerry’s Ice Cream Factory (11 miles), Cold Hollow Cider Mill (12 Miles), Morse Farm Sugarhouse (3 miles), and Barre Granite Quarries (8 miles) to name a few. Many tours use the central location of the Capitol Plaza as a home base and take day trips to any region of state. 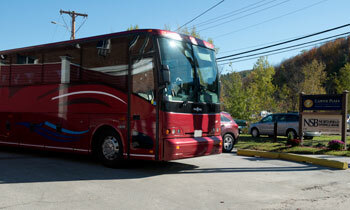 Overnight Motorcoach Packages start at $109 per person per night double occupancy plus tax and Service Charge. For additional information or to request a proposal, contact the Sales Department at 800-274-5252 or .